Chelsea forward Olivier Giroud has reportedly emerged as a transfer target for Bordeaux. The France international has only played a bit-part role under Chelsea manager Maurizio Sarri, and the World Cup winner currently has less than three months remaining on his Blues’ contract. Giroud’s deal could possibly be extended by one more year but according to Calciomercato, Bordeaux have outlined their intentions to hand the experienced forward a return to his homeland. The 32-year-old has been linked with a number of clubs in Ligue 1, and Bordeaux are in search of reinforcements during the summer after a disappointing domestic campaign. 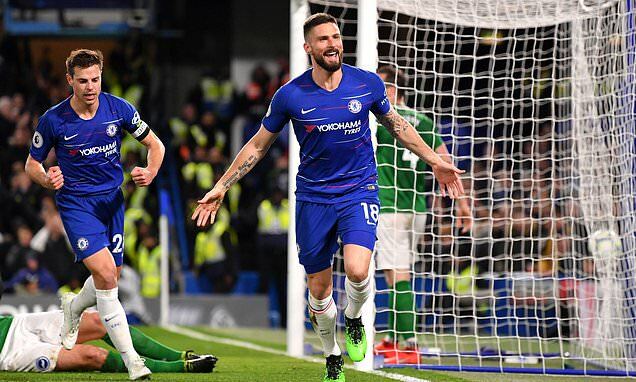 Giroud has scored 11 times for the Blues this season, but two of those goals have come in the Europa League.